In computing, multitasking is a method where multiple tasks, also known as processes, share common processing resources such as a CPU and memory. While in the past most operating systems used cooperative multitasking where applications must free resources for other applications nowadays nearly all operating systems use preemptive multitasking where the operating system takes care of giving resources to the applications. In theory this works good while in the real world some applications tend to consume a lot of resources even in the background to play animations or do other stuff you might not want to take up your precious resources. 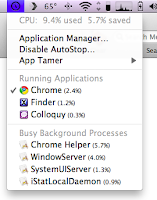 This is where App Tamer comes in, it allows you to actually pause unneeded applications automatically to save resources. On a Laptop this means longer batterie life and less annoying fan sounds. 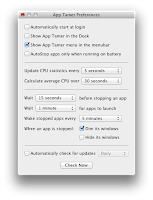 App Tamer pauses an application when you switch away from it, then automatically restarts it when you start using it again based on your rules. 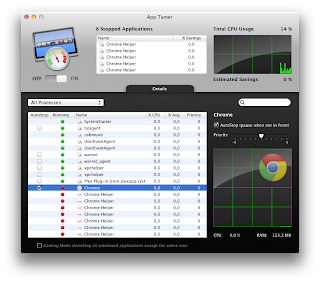 It also tracks the saved cpu consumption, but this is a mere estimation. Another really neat feature is the "Game Mode" where all applications besides the top front window gets paused giving you the max possible FPS in Starcraft II. Paused applications get grayed out so you actually see when its paused, the suspending and reactivating happens without any noticeable lag and so far App Tamer worked nice with all my custom system add ons like Total Finder or Hyper Dock. 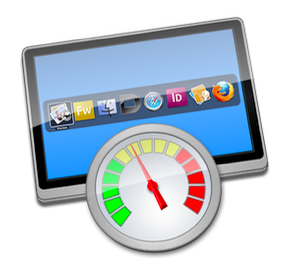 While on a desktop the advantage is nice but not always necessary on a laptop the application is a must have, since recovering even a small percentage of your CPU time can translate into significant battery saving. 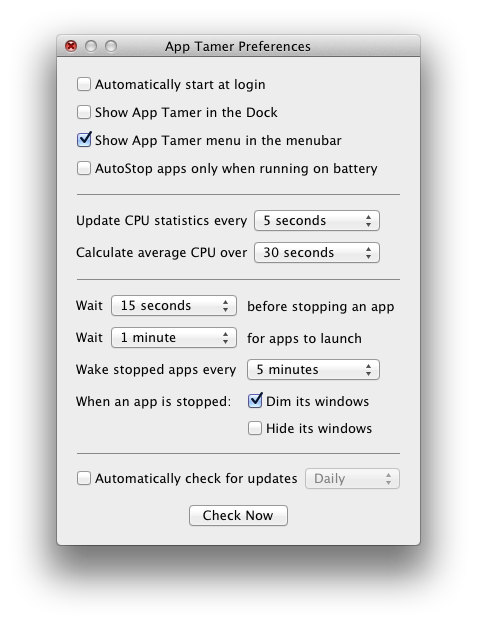 With App Tamer my batteries last around 25% longer which means more then 1 hour a day till i need to plug my MacBook in to recharge. 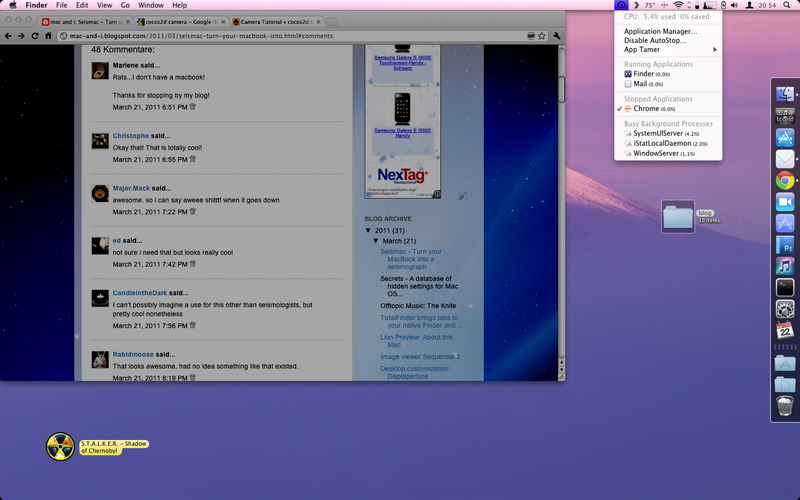 The interface is well designed and easy to handle and it runs rock stable even on Lion, big + for this. I'am using this app now for 1 week non stop and i just love it. You can try it free for 15 days, afterwards a single user license costs $14,95. I like that a lot, that's very useful. 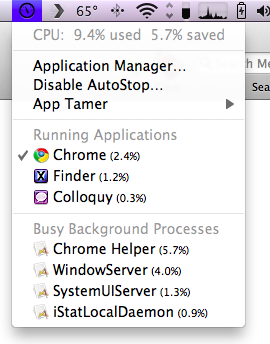 I use App Tamer every single day. I've been looking for a blog that is all things mac! And I found one! looks like a solid app. This looks nice. Especially game mode. Looks like a nice piece of software though. 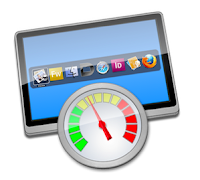 Very useful if you're a mac user. A must use IMO. I enjoy multi-tasking, so i would find this very useful. Thats really awesome! Thought I'd stop by and show my support. Wondering if OSX can run on a virtual box within an XP install? I'd like to try this out. this seems pretty revolutionary... too bad i have a PC, oh well. btw this was hella interesting, i followed. i don't really have a lot of apps, but they sure do make everything so sleek and efficient. Very nice app. These seem like ones that should just come with the device. Is it like an Android app killer? Wow. That's a pretty useful program. Awesome. Thanks for the link to that 15-day trial. It came in handy. Looks good! might check it out! wow this is great, thanks for showing it to me!